Tonight saw Larne Swimming Club kick off their P.T.L. season with a home meet against Coleraine S.C.
A team of 40 swimmers took to the water a we looked to get the season off to a winnin start against a team that had beaten us last season. The format of the meet is simple. With points score for 1st 2 swimmers home for each team. A number of the under 10s were competing for the 1st time over 50m never mind in a PTL. There was great noise and support from both teams as the points from the 1st round of events (the medley relays) were shared. By the end of the backstroke the home team had opened up a gap continuing the cluns fine traditions in this discipline. This gap was never to be closed over rest of the meet with the home side recording a win of 50 points. 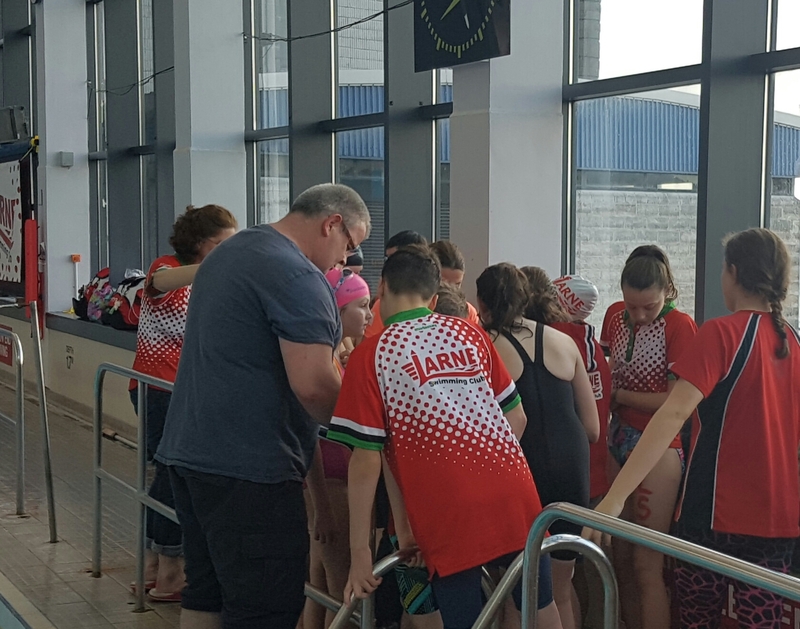 The working being done on the skills side of things was evident as Larne swimmers were consistently the last to break the surface on starts and turns. This is the start of what we hope will be a long and successful season.